Geek's Guide to Britain When you first see the view from Croome's church, it looks like an English utopia. The landscape, designed by Lancelot "Capability" Brown during the 1750s, features a lake pretending to be river, winding lazily through fields dotted by scenic trees. To the left is Croome Court, a grand Palladian country house built over the red bricks of an earlier one. The Malvern Hills rise in the distance. This Worcestershire landscape is far grander than that surrounding a better-known Victorian pile of a country house on the other side of the Cotswolds. Bletchley Park, just under two hours' drive away, has become part of Britain's heritage thanks to the pivotal role it played in breaking the German military's encryption codes during the Second World War. It was, of course, home to the work of Alan Turing and thousands of other men and women whose efforts also proved crucial to the development of modern-day computing. But just like Bletchley, the war earned Croome its place in the pantheon of technological history. Croome was the secret, naturally, centre of developments in airborne radar and electronic warfare during the war. Its work helped the Allies win. RAF Defford, as it was then known, tested new airborne radar systems that allowed aircraft to detect underwater submarines, playing a part in helping win the Battle of the Atlantic – when the Third Reich's U-boats hoped to starve Britain into surrender by sinking its supply ships carrying food and raw materials. 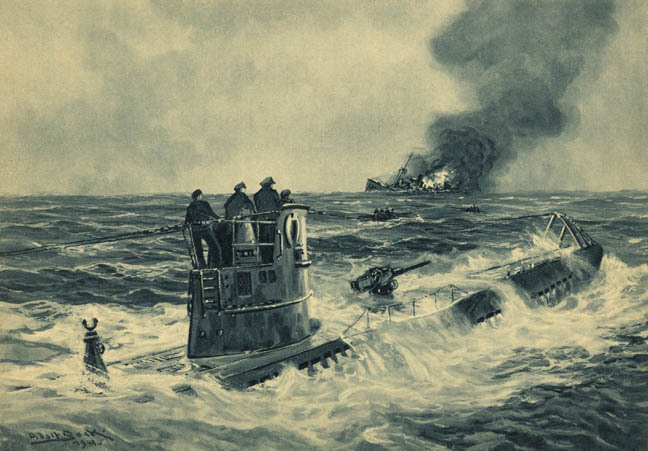 Millions of tonnes of cargo were lost and with it the lives of thousands of sailors. Airborne radar enabled Allied planes to see the landscape at night-time too, allowing for more accurate bombing raids in the dark. Staff also pioneered systems that jammed and spoofed German communications during bombing raids, laying the groundwork for modern electronic warfare. Croome, or RAF Defford, was also the site of the world's first automatic landing, using technology partly developed there. Among the thousands of scientists and support staff were a power trio, three of the biggest names in the physics and computing canon: Bernard Lovell, who after the war pioneered radio astronomy at Jodrell Bank in Cheshire; John Cockcroft, who later shared a Nobel prize and helped develop the UK's first atomic weapons; and Maurice Wilkes, who following the war built the first practical general purpose stored-program electronic computer in Cambridge. All that is gone now: the airfield closed in 1957, although research continued until the early 2000s. 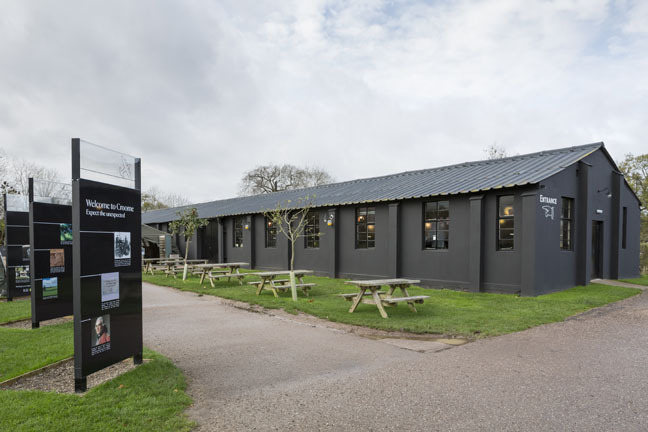 The spirit, however, does live on and visitors can now walk around some of the site and visit a museum on its wartime role. Both are managed by the National Trust. Those travelling to Croome from the nearby town of Pershore will follow Rebecca Road. Rebecca is the name of airborne equipment that received and interpreted signals from the ground including those from a beam approach beacon system, Babs for short. In January 1945, the crew of a Boeing 247-D followed Rebecca and Babs to make the world's first automatic landing at Defford. Around the car park are some hastily constructed buildings, some restored, a few still with broken windows. This is what remains of RAF Defford's original buildings, which included a Naafi canteen by Croome's grand London gate, most of which were demolished when the airfield closed. Some of those that remain house the National Trust's reception, a café and the RAF Defford museum, entry to which is included within a ticket for Croome. 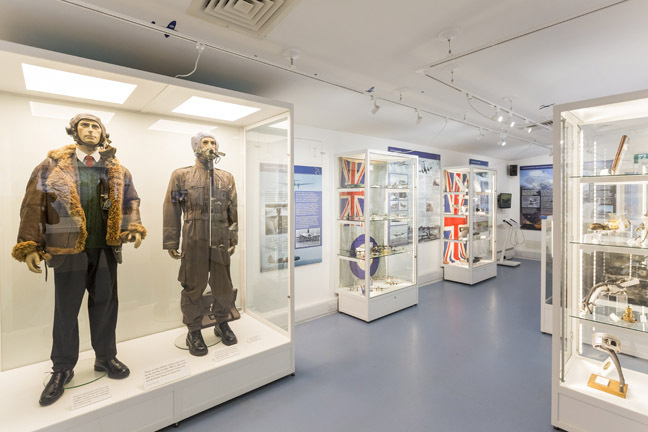 The museum, which includes technology artefacts including a Rebecca Mk II display unit, commemorates the bravery and sacrifices of the aircrew who flew from Defford. It includes the beaten-up Rolls-Royce Merlin engine of wrecked Spitfire EN915 and the goggles worn by Group Captain McDonald when he bailed out of it in December 1942, having first rolled the plane upside-down. But it is strongest when explaining the site's history of technology research, through an introductory video, exhibits and well-produced display panels. Croome was requisitioned by the government in autumn 1940 for the RAF, which the following year built RAF Defford on its eastern side. 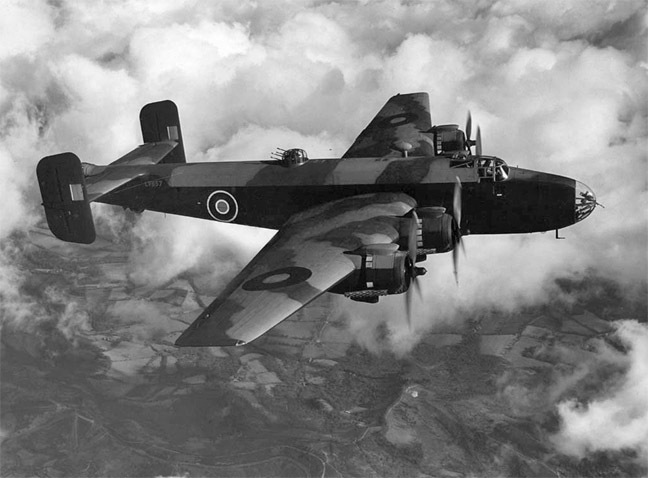 Initially Defford ran training for Bomber Command crews. But in May 1942, the Telecommunications Research Establishment (TRE) moved from Worth Matravers on the Dorset coast, where it had been attacked in an air raid the month before, to Malvern College, safely inland. The group that became TRE had enjoyed a number of different names and homes, and its members along the way had participated in the development of the Chain Home radar, whose initial 21 stations ran from Dundee to Southampton and was the world's first air-radar early warning system. TRE was accompanied at Defford by the Telecommunications Flying Unit, which would flight test TRE's equipment. The unit moved its 70 aircraft and 1,500 staff from RAF Hurn in Dorset to RAF Defford. What had been a quiet country estate now housed, at its peak, nearly 3,000 personnel and a small fleet of aircraft. By the time TRE moved to Worcestershire, the fixed Chain Home radar stations around Britain's coast had already contributed to the RAF's victory over the Luftwaffe during Battle of Britain in the summer and autumn of 1940. Radar had helped detect incoming German aircraft, allowing planes to get of the ground and intercept them before they arrived in British airspace. TRE, however, was already refining the radar concept by concentrating on radar fitted inside aeroplanes, which were tested by the Telecommunications Flying Unit. Think of the Battle of Britain and radar, and you probably imagine large towers on the ground, but airborne radar had been used. TRE, however, greatly improved its capabilities by shifting to a shorter "centimetric" wavelength of about 10cm, which allowed aircraft to use a narrow beam of transmission and a moving reflector to scan the skies like a searchlight. The data fed circular radar maps, showing what was around an aircraft in real time. Centimetric wavelength systems were used in air-to-surface vessel radar tested at Defford that entered service early in 1943. These helped aircraft find and destroy German U-boats day and night. 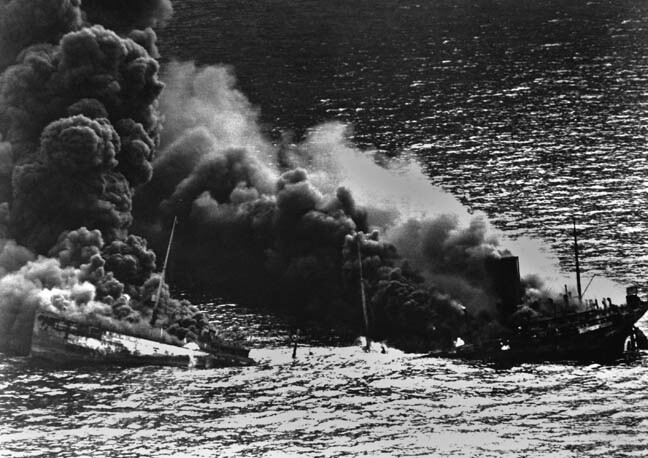 U-boats did't present much of a target in the vast expanse of sea and early aircraft radar could not spot crucial, tell-tale signs such as the submarine's periscope, aerial or snorkel when at their most visible – above the water. The new radar systems provided much-improved definition, meaning these tiny details could now be spotted. David Stupples, professor of electronic and radio systems at City University London who worked at Defford from 1977-82, told us: "That was one of the major turning points in the submarine war." Its capabilities as a system for use scanning the ground and spotting features such as train lines and buildings was discovered by accident during tests flown from Defford. This system was developed as H2S, led by Bernard Lovell and adopted by Bomber Command to improve its navigation over Nazi-held territory. Both relied on an improved version of the cavity magnetron developed at Birmingham University, which was used in all radars until the 1970s and is still a component of microwave ovens. But Defford's H2S tests were marred by the worst accident in the history of British military test flying. On June 7, 1942, a Handley Page Halifax bomber V9977 took off from the airfield to run a demonstration over the Bristol Channel. But it crashed at Welsh Bicknor in Herefordshire, killing all 11 people on board. The dead included EMI-employed engineer Alan Blumlein, who had previously pioneered stereo sound recording and 405-line television for the BBC. In June 1992, a memorial stained-glass window featuring the Halifax and radar technology was installed in the chapel at Goodrich Castle, near the crash site. This can be seen as part of a visit to this English Heritage-run attraction, about 35 miles drive southwest of Croome. In June 2002, Sir Bernard Lovell unveiled an RAF memorial on Defford's village green. RAF Defford didn't just refine radar, it also pioneered electronic warfare. Germany had begun to deploy the very accurate low-UHF Würzburg radar as a means of detecting incoming British bombers, and it was producing very high casualty rates, Stupples said. TRE developed ways to jam Würzburg and generate spoof ground-to-air communications, deployed by aircraft flying as part of bombing raids and tested at Defford. One of projects, named Window, featured aluminium strips cut to the half-wavelength of German radar that produced interference. Invented by Joan Curran, a Cambridge physics graduate who joined TRE as a civilian scientist, this is today known as chaff. Curran later worked with her husband Sam at the Manhattan Project in New Mexico on the invention of a device for measuring radioactivity, the scintillation counter. Women made up about a fifth of the base's wartime workforce and they have a specific exhibition at the museum that also includes Audrey Rundle, a medical radiologist who joined the Women's Auxiliary Air Force to work on radar and flew from Defford on trials of the "Monica" tail-warning radar. Defford shrank in scale after the war ended, but research continued in the 1950s on technologies including Doppler radar navigation, used in British nuclear bombers including the Vulcan, which estimated speed using reflections from the ground or sea. (Although the Vulcans were not used in nuclear warfare, they famously bombed the airfield at Port Stanley during the 1982 Falklands War.) Defford's test aircraft flew from north Africa to Greenland; part of a Canberra bomber used for training is now on show in an annexe to the museum. In 1980, the Royal Signals and Radar Establishment established golfball ground stations at Defford for the UK's Skynet military communications satellites. Its role in military technology finally ended when privatised defence company QintetiQ left in the 2000s, after which its site was taken over by West Mercia Police for driver training. Defford still has one working link to the skies. In 1962, two 25-metre radio telescope dishes were built on railway lines laid on two of the airfield's runways. One was scrapped a few years ago, but the remaining dish is part of the e-Merlin radio astronomy network run by the University of Manchester, which also includes the 76m Lovell telescope at Jodrell Bank and Goonhilly's first antenna, a listed building also known as Arthur, in Cornwall. Defford's dish can be seen from some points within the Croome estate and is hard to miss from Rebecca Road, but it and the police training centre are off-limits to visitors. Despite the site being bound by the M5 motorway and the Cheltenham-Birmingham train line, with Worcester about 10 miles to the north and Tewkesbury 8 miles to the south, the site feels fairly remote. Nearby to the northeast is Pershore, a handsome town with Georgian buildings, while to the west lie the Malverns, and Bredon Hill to the south with fantastic views over surrounding countryside. For National Trust members there's also a nearby Robert Adam folly – Dunstall Castle. 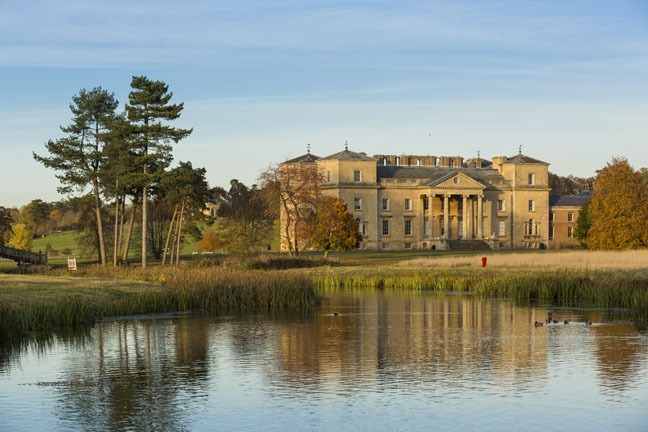 In the middle of this lies Croome, which offers a lot of options, including for those with no interest in technology, making it a good choice for a family day out. Aside from the 1940s-style café, there's a family trail while dogs are welcome. Capability Brown's landscape is beautiful to look at and explore. Croome Court, which after the war was used as a boarding school and a Hare Krishna centre, is all the more interesting for not having been gussied up. The National Trust only took it over in 2004, having managed the park since 1996, and is not trying to restore it – this would be nearly impossible given that most of the furniture is long gone. As usual with the National Trust there are activities for children, decent catering and good facilities for the less mobile including transport from the car park to the house. By train: Pershore station, five miles from Croome, is about two hours from London Paddington and an hour or so from Oxford. If travelling from Birmingham, there are direct trains from New Street to Worcester Foregate Street, nine miles away. The nearest bus stop is two miles from Croome, so a taxi is likely to be the best bet from either station. By car: M5 to junction 7 M5, B4084 east to Pershore or – from the east – drive through Pershore to B4084. Look for brown tourism signs directing you south to Croome. Ample free parking. Prices: Adults £10.90 (Gift Aid £12), children £5.45 (Gift Aid £6) for whole property and museum. Special prices for families and groups. Free with National Trust membership. Opening hours: Park 9am-5pm mid-February to end of October, otherwise 10am-4pm. House 11am-4.30pm but closes 4pm during winter. The park is closed on Christmas Eve and Christmas Day then again except for tours until New Year. Museum is 11am-4.30pm most of the year with the Canberra bomber trainer open from 1.30pm-4.30pm. Occasional RAF Walks, which must be booked in advance – call 01905 371006 for details.